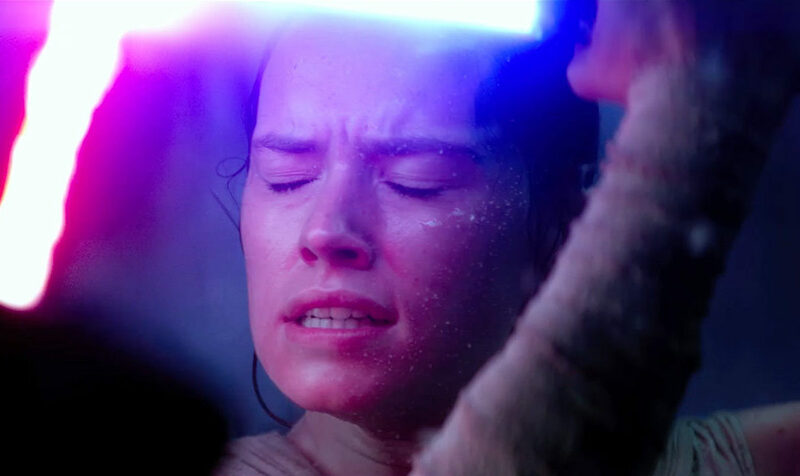 Learn how the planets of Star Wars often speak volumes about the themes and direction of the saga. In a galaxy far, far away, the battles between the forces of light and darkness have taken the heroes of Star Wars to a wide range of inhabited worlds. 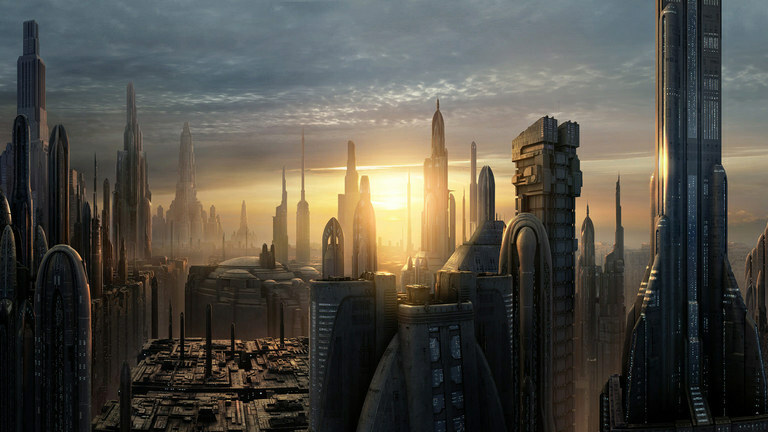 While some places, such as Tatooine and Coruscant, are visited more frequently than others, each film showcases new planets with unique ecosystems. When the biospheres of these worlds are examined in the context of the time they appear during the ongoing plot of the films, many instances of symbolic imagery and moments of foreshadowing are uncovered. 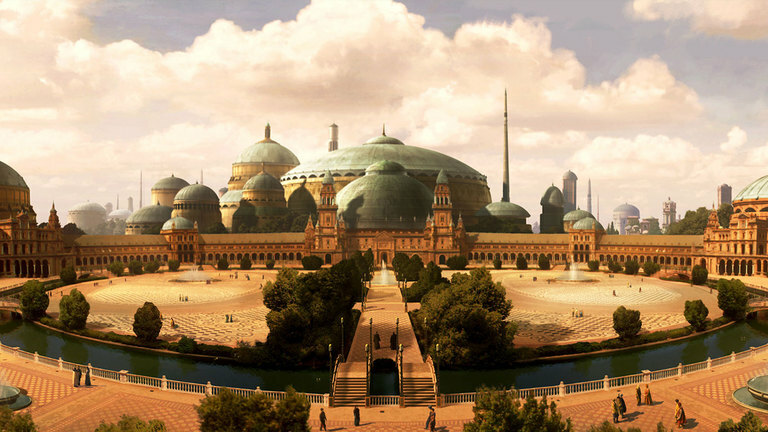 The rolling hills and tranquil waterfalls of Naboo provided beautiful scenery, but they also represented the peaceful nature of the time before the Trade Federation’s invasion, the Clone Wars, and the rise of the Galactic Empire. When first introduced in The Phantom Menace, Naboo was blockaded by the Trade Federation and Darth Sidious was beginning his subtle manipulations for his ascent to power. A brief glimpse of Naboo is shown prior to the landing of troops by the Trade Federation, but soon the planet’s natural wonders were seen being ravaged by battles and the machines of war. The arrival of conflict heralded the broader struggles to come, when the fighting would spread into the far reaches of the galaxy. 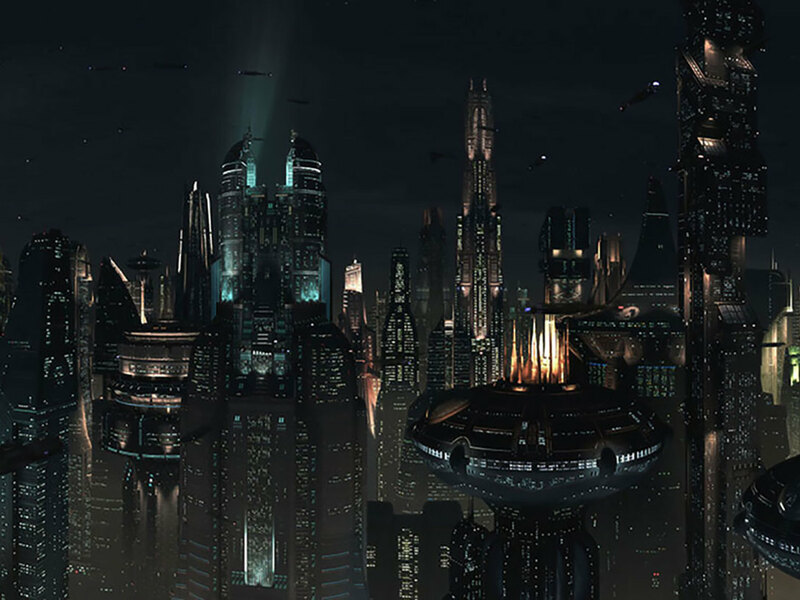 The metropolitan sprawl of Coruscant was picturesque when viewed from the skies in Attack of the Clones, but the lower levels were filled with crime, poverty, and grueling conditions. This dichotomy was a summation of the Republic’s woes, as the outward presentation of stability was being undercut by the evils of Darth Sidious. The Jedi Council, in its chambers on the surface, was suspicious of the influence of a Sith Lord, yet they did not realize how deep the corruption ran. 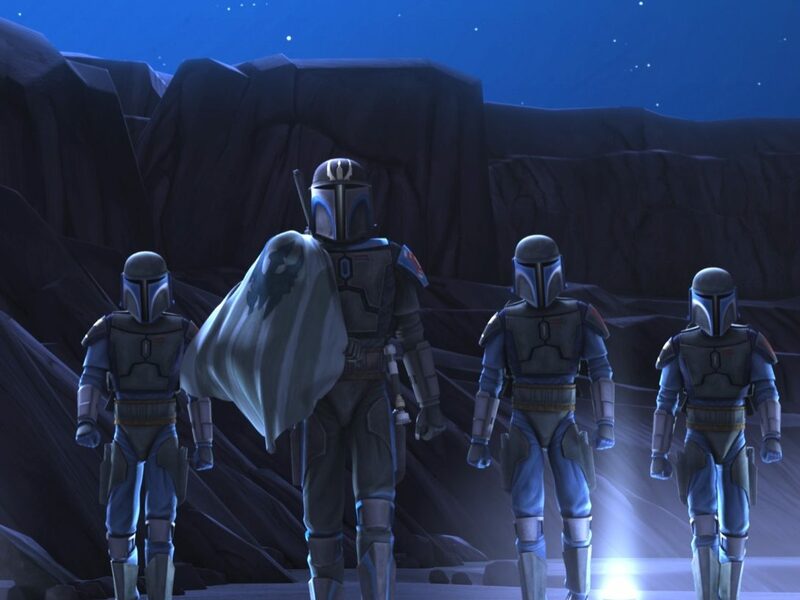 One of Chancellor Palpatine’s meticulously crafted plans involved the secret creation of a clone army, which brought Obi-Wan Kenobi to the seas of Kamino. The dark clouds, torrential rain, and turbulent waters foreshadowed the turmoil of the Clone Wars that were about to begin, as the very clones who would fight on the Republic’s behalf were created and trained on Kamino’s surface installations. During his fight with Jango Fett, Obi-Wan almost tumbled into the ferocious sea, yet again signifying the impending fall of the Republic that would be brought about by the Clone Wars. Once the Republic’s fate had been sealed, Obi-Wan and Darth Vader faced off in an epic duel on the volcanic surface of Mustafar. 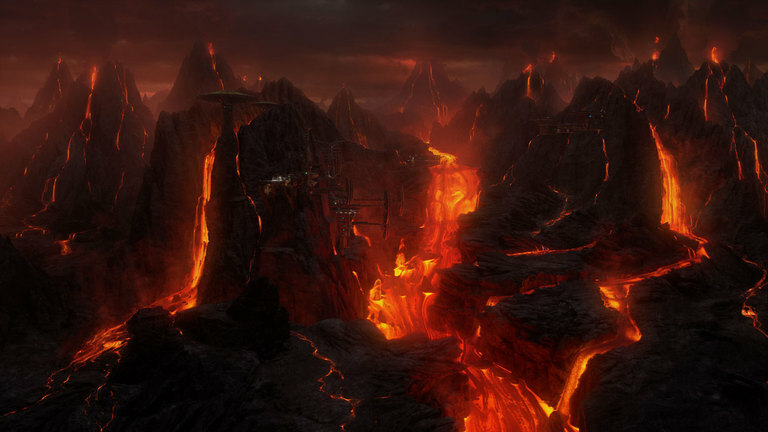 The deadly lava fields, thick clouds of ash, and blackened soil were indicators of the imposing evil of the emerging Galactic Empire in Revenge of the Sith. Although he had already been given the name Darth Vader, Anakin received his true baptism as a Sith Lord in the fires of Mustafar. As the flames charred his body, they were creating the severe health conditions that would require Darth Vader to don his infamous life-support armor, which later served as a symbol of the Empire’s ruthless nature. The decrepit streets of Mos Eisley and the sterile rocks of the Jundland Wastes fit in perfectly with the barren nature of the deserts of Tatooine in A New Hope. The two things that most people on the planet had in common were unhappiness and a desire to leave. These torrid surroundings, introduced at a time when the Rebellion was growing, reflected the general misery and discontent that the Empire had engendered during its rule. The discomfort displayed by many citizens at the arrival of stormtroopers was another sign of unfavorable views toward Imperials. 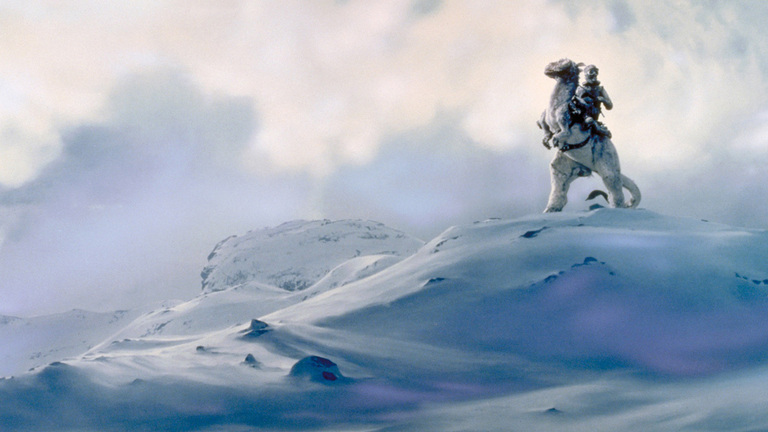 Despite the destruction of the Death Star, the Rebel Alliance was found to be on the run and hiding on the snow-covered sphere of Hoth at the beginning of The Empire Strikes Back. The icy wasteland, with its frigid temperatures and vicious wampas, represented the precarious and deadly situation the Rebellion faced as the Empire dedicated its forces to tracking the location of the freedom fighters. The powerful superweapon had been eradicated, but the Rebels still faced an uphill battle against their foes. 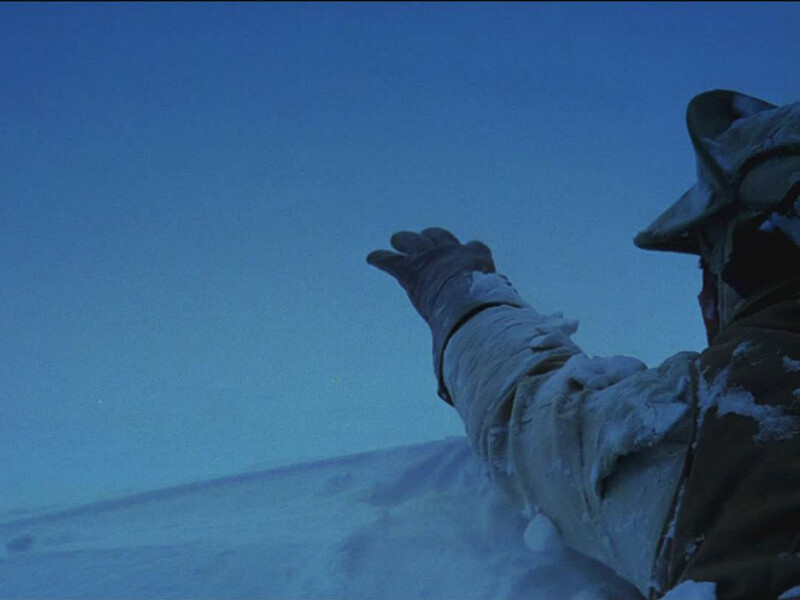 In a more literal sense, the very existence of the Rebel Alliance was on thin ice, as its potential extermination on Hoth could have spelled the end of their cause. At first glance, the swampy waters of Dagobah seemed like an inhospitable place to reside. 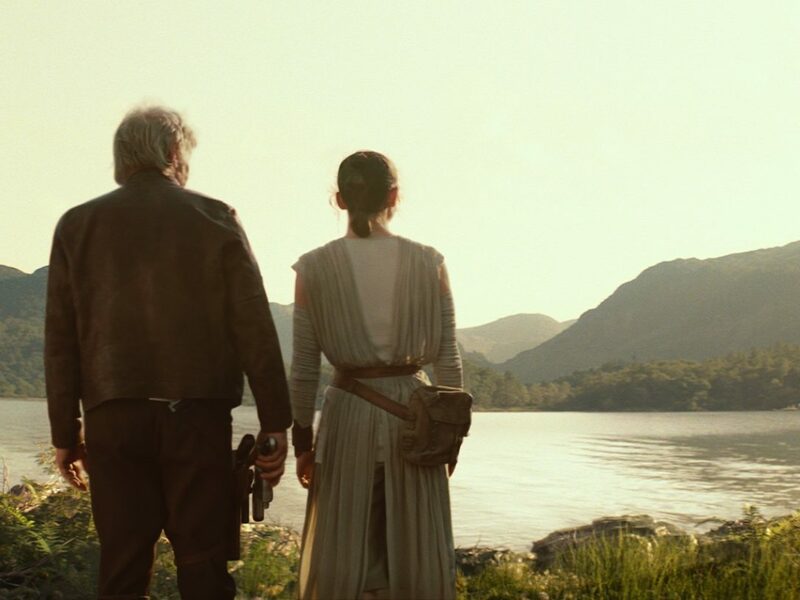 However, when considering the fact that this was Yoda’s home and the location where Luke Skywalker received the majority of his training, the importance of the surroundings can be found. Filled with primitive lifeforms and primordial waters, Dagobah was thick with the energy from which Jedi draw their strength. While no advanced civilizations stayed there, the simple creatures embodied the initiation of Luke’s formal training and the start of the light’s return to prestige. In a similar fashion, the intelligent Ewoks and bright skies on the forest moon of Endor signified the completion of Luke’s education as a Jedi and the triumph over the darkness in Return of the Jedi. The complex forms of life paralleled the strength gained by the light as the Emperor perished and Darth Vader was revitalized as Anakin Skywalker. The imagery of the second Death Star’s glowing, sun-like explosion appearing in the clear, blue sky also supported the concept that the light side of the Force was victorious. 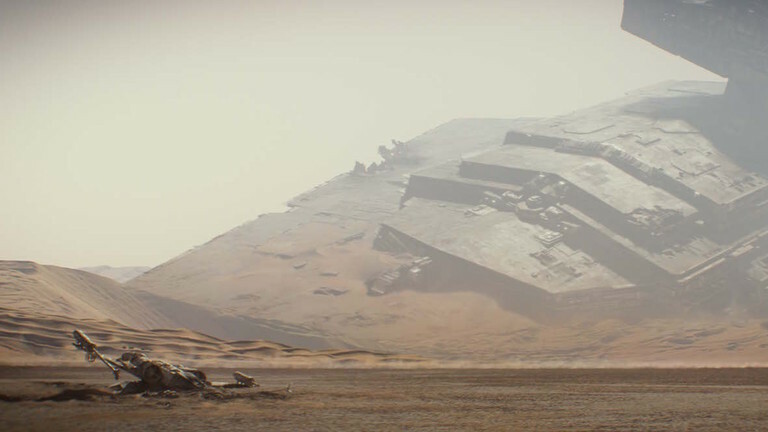 As with the conditions on Tatooine, the lifeless deserts and unkept junkyards of Jakku reflected the notion that the remnants of the Galactic Civil War remained and foreshadowed the endurance of the Empire’s influence in The Force Awakens. 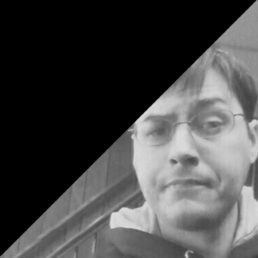 The New Republic’s inefficiency in cleaning up old battlefields mirrored its inability to recognize that Imperial sympathizers were still a considerable threat to peace, especially in the form of the First Order. 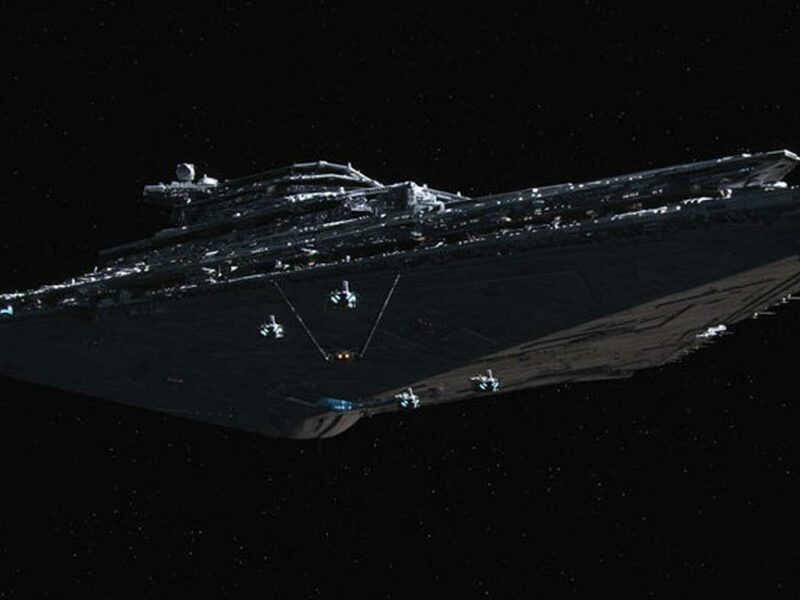 By not taking direct action to quell the efforts of those who idolized the fallen Empire, the New Republic gave the First Order the opportunity to expand its ranks, bolster its fleet, and construct the incredible weapon known as Starkiller Base. 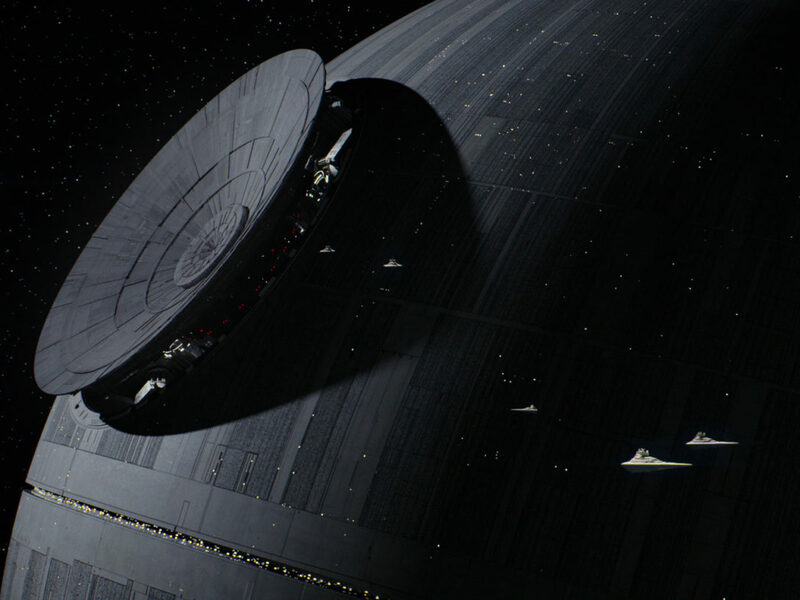 Unlike the Death Stars, Starkiller Base was constructed throughout an actual planet. As the structure drained a star to fuel its devastating power, the skies dimmed over the snowy forests on the surface. 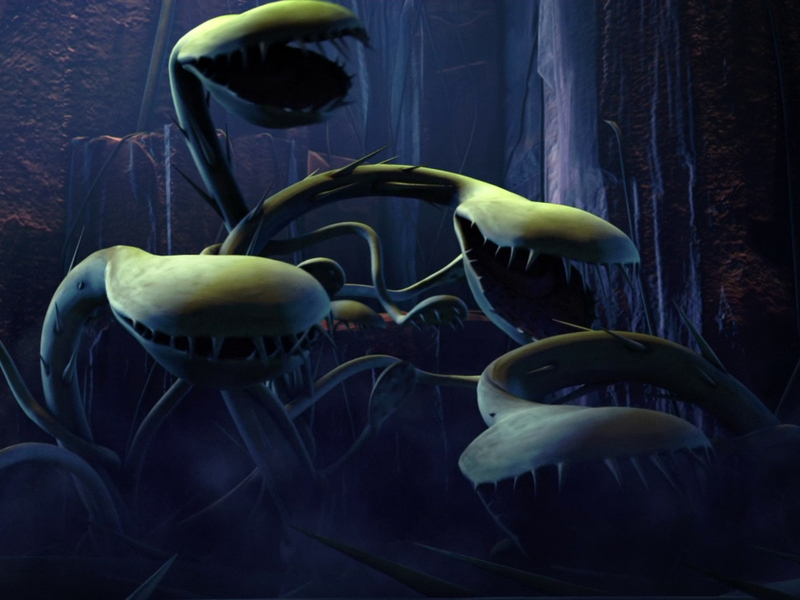 While this darkness intimated the terrible purpose of Starkiller Base, the presence of shadowy, living forests symbolized that a thriving ecosystem had been turned into an implement of death. The transition from a victory over the Empire in the sunny woodlands of Endor to the materialization of the First Order in the shrouded treelines of Starkiller Base represented that conflict had once again returned. The worlds visited in the Star Wars films were as diverse as the various species that populated them. Upon closer inspection, the biospheres of each planet often reflected the themes and political situations present when they appeared. From the peaceful nature of pre-war Naboo to the weaponized Starkiller Base, the worlds of Star Wars tended to indicate the progression of the galaxy’s social and political environments while acting as harbingers of what was to come. As we approach the releases of Episodes VIII and IX, it will be interesting to see if this trend continues.